This summer feels like the first one ever where I have few plans in terms of vacations and things that I'm doing in general. In addition to my internship, most of my "plans" consist of coming home to read my book or go on a run. I'm not kidding, my life right now isn't boring, but nothing too thrilling is going on. I am going to West Palm Beach for my birthday at the end of August, but other than that I have no plans! I am considering flying out to New York later this month or next because I usually go every summer, but nothing is set in stone. Nonetheless, there is still a list of things I want to check off my list this summer! Practical things like finding a swimsuit I love (you can see a round-up of cute suits under $50 here), reading a lot of books (see my summer reading update here), and going to a Brewer's game with friends, which I actually already did a couple of weeks ago. In addition, I really want to start sharing more outfits on the blog. 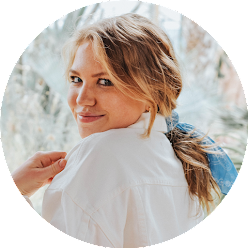 It's always challenging for me to find the motivation to take outfit photos, but taking more pictures and sharing more of my actual outfits in a better format than mirror selfies has been a long-time goal that I've had for this blog. Maybe improving my consistency with blogging should be added to the top of this list too! 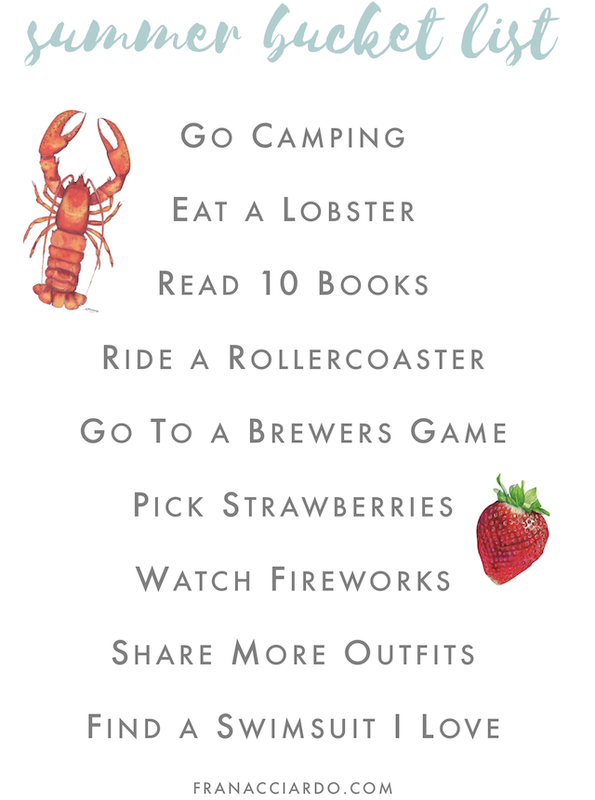 There are also some of my favorite summer activities that I can't go a summer without that I've listed... eating lobster, watching fireworks with my friends, riding a rollercoaster... some of these take more planning than others, like planning a trip to Six Flags, planning a camping trip, etc. but these really just come down to picking a date and enforcing it! What's on your bucket list this summer? I'd love to hear if there are any little things you add to your daily routine to spice up your summer!